This thread brings back SO many memories. I had quite a bit of the space sets, but then they got ridiculous with the special pieces and it became kinda silly. I googled up the instructions for that first castle and spent the rest of the night putting it together. This seems to be a common sentiment. That Legos somehow become less cool as pieces and sets become more specialized. The beauty of Legos is that even the most unique specialized pieces can be turned on their head and used in a cool way. You can build much neater stuff using a box of Legos from the last 15 years than you can with a box of basic bricks. But you can still build pretty damn cool stuff with just the bricks. One thing the LEGO designers of old could count on is that I would always buy a vehicle that went inside of another vehicle. LEGO keeps a copy of every set ever released in their vault. Gizmodo did a story about it a couple years back. There was a backlash from the AFOL community several years ago about the over-specilization of pieces. The good news is that LEGO seems to have been receptive to those comments, and you're much more likely these days to get an assortment of "generic" parts. Millennium Falcon? Psh! Taj Mahal. Ever get the feelings that you were born at the wrong time? Yes and no. Yes, the sets look even more awesome than before; but also no, because the ones I want now still have three-digit price tags and there's still no one who will buy them for me. 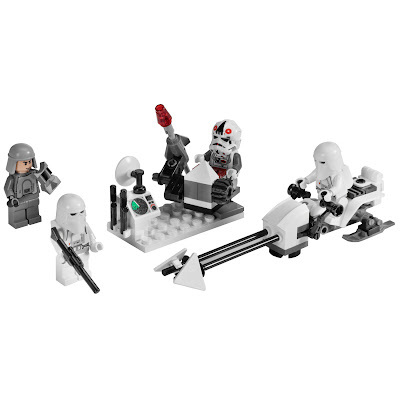 Does lego sell individual pieces? Found some instructions for making a Serenity ship on line, and so badly want to build it. At the Lego Store I mentioned earlier, they had a whole section devoted to bins and bins of individual pieces--you could buy little containers and fill them with whatever pieces you need, and pay a flat rate for the container. I can't imagine they had every single brick size/color ever made, but they had quite a few. Models you make with the Lego Digital Designer can also be ordered and delivered to you. And I'm sure any Lego community site you can find has brick re-selling. Ditto! I vaguely recall having a few of the forest and pirate sets pictured here, but I DEFINITELY remembered the awesomeness of opening up the space shuttle set one Christmas morning. That set is easily my favorite. I also liked a bunch of the other space and pirate sets. My wife and I were at the local Barnes and Noble the other day and I began drooling over the new architectural LEGO sets, in particular the Guggenheim and Falling Water. Sadly, I don't believe my parents have any of our LEGOs any more. $15 each, so why the heck not. Now I can stage little battles on my desk. The last time I bought Star Wars Lego, the Episodes IV-VI stuff was split off from the Eps I-III stuff as their own separate lines, which made it very easy for me to window shop. Now it all seems to be consolidated in one line. Too bad for SW purists like myself. No kidding. I'm more than tempted to buy the $180 Imperial Flagship. Congrats on your new acquirements! Man, I saw that one at the store too, and recognized it immediately from Tie Fighter. Awesome. You need to shop elsewhere... all three can be gotten alot cheaper than those prices. Enabling is fun! 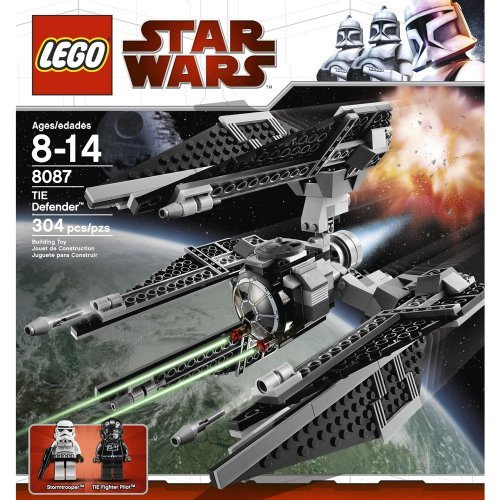 The Tie Defender is abotu $47... google shopping has it at that price from several vendors. You can get the Star Wars troop packs (I think there are at least 4 different ones as I recall for about $10 each as well. Also the Imperial Flagship can be found for about $80 used on ebay. 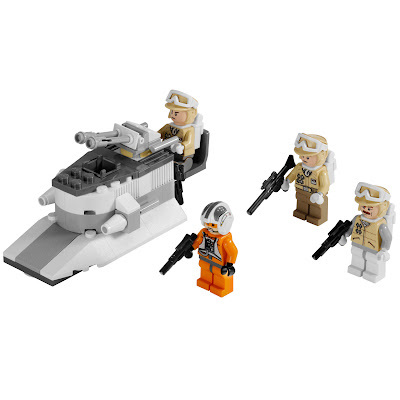 The general rule is that you should expect to pay $.10 per piece, plus a bit extra for special pieces (like minifigs). Wife and I just got back from a trip to Florida and Orlando. Disney Downtown has a Lego store with such bins. Mostly random pieces - if you're looking for something specific, best look online. I love the sea serpent at downtown disney! But it's a little hard to find in stores at the moment (I wanted to play this weekend). So I settled on this :). The "Cool Convertible" with working top. Reminds me of the Model Team F1 I had (pictured by others in the thread). Can't wait to build with all 648 pieces tomorrow! If it's as good a time as I remember it being, I might have to pick up the Lambo. Also the Falling Water set looks really nice. The instruction booklet that comes with the architecture series is spiral bound with types of notes and pics of the construction of the actual buildings. Define custom made blocks. I don't see anything particularly unique there? Found out about it at Tom's Hardware here. As with many other here me and my brothers/friends would usually make the set "as intended" the first couple times, then all bets were off. Whether it was an original design or no, if it was a large set it would stay up in the room until my parents told me to clean the room, then it had to be disassembled. If it was a smaller set it could generally go in one of our two massive lego bins intact, those survived until we started to build something cooler that needed the pieces. There were often fights between brothers who wanted to make something "cooler" and brothers who were pretty sure that whatever this new contraption was it wasn't as cool as the thing they had already made, and they should just figure out how to make do without taking apart their design. Man the nostalgia is really hitting me hard as I think about all the stuff that we used to do. Sometimes we would split up the pieces (trying to be pretty fair about it), each making our own separate army/vehicle/base to fight each other. Or one person could make a base and the other person would make a few things to attack it. Other times we were cooperative instead of competitive, say one of us made the air force, one of us made the navy, and one of us made the army. Other common possibilities were ship and undersea exploration sub; space station and space ship; space ship and ground landing team. Man, good times. Unfortunately I don't have any legos anymore Maybe I'll mess with the digital designer.